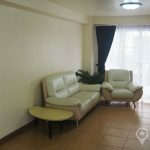 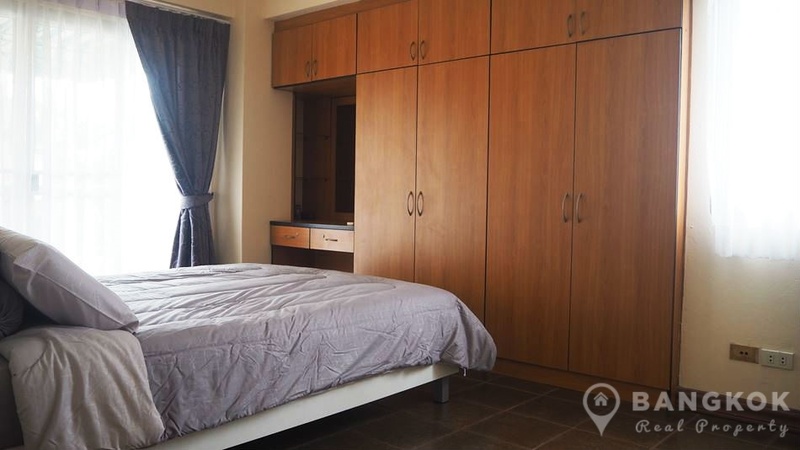 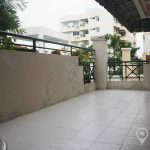 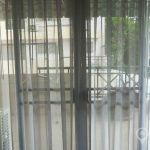 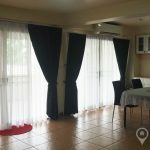 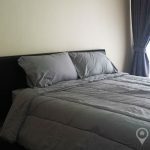 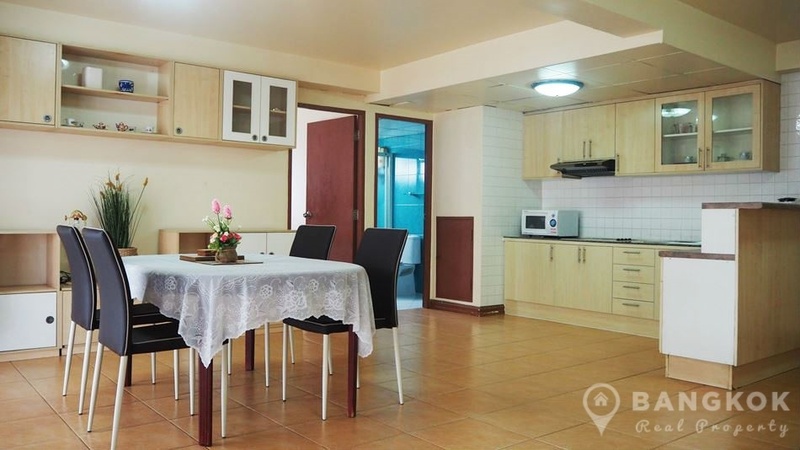 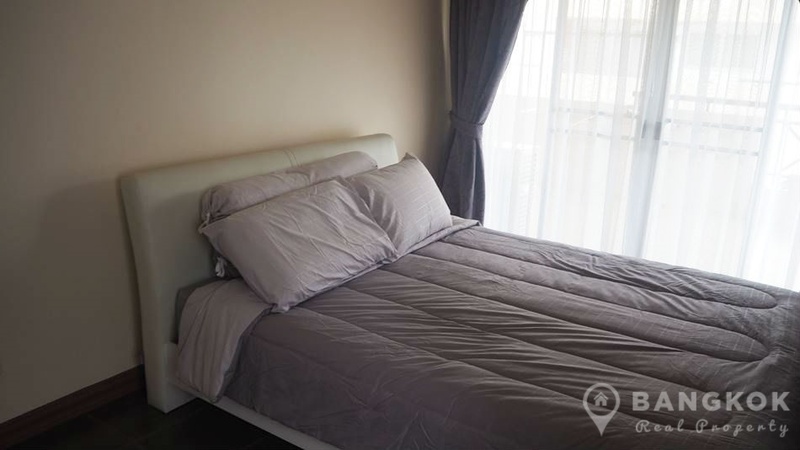 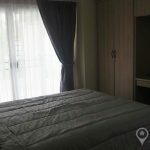 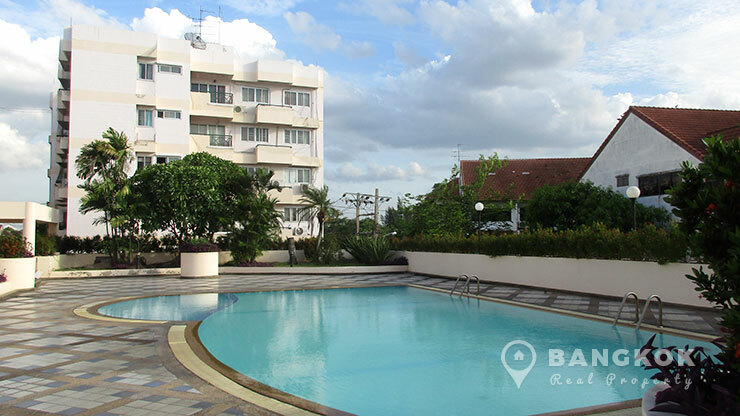 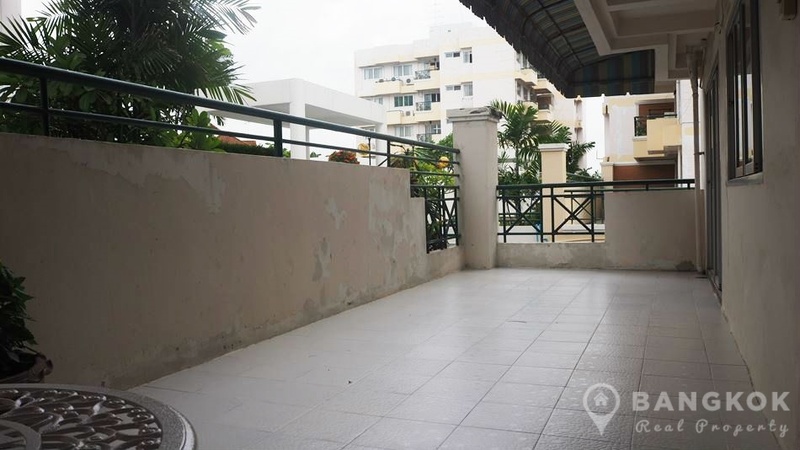 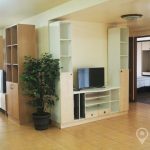 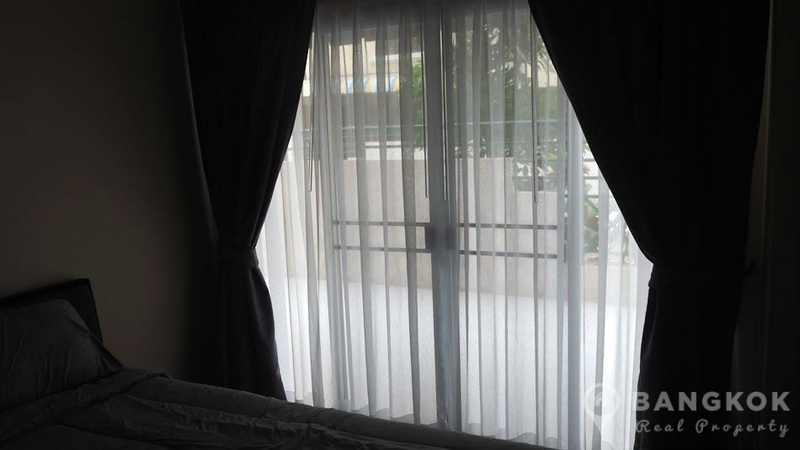 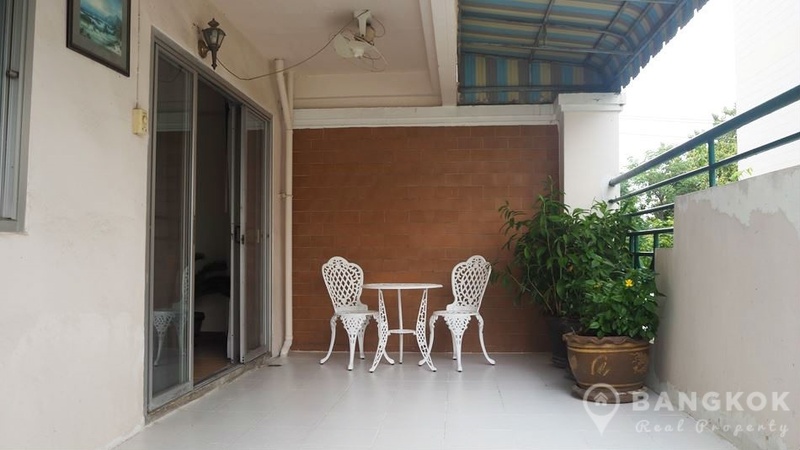 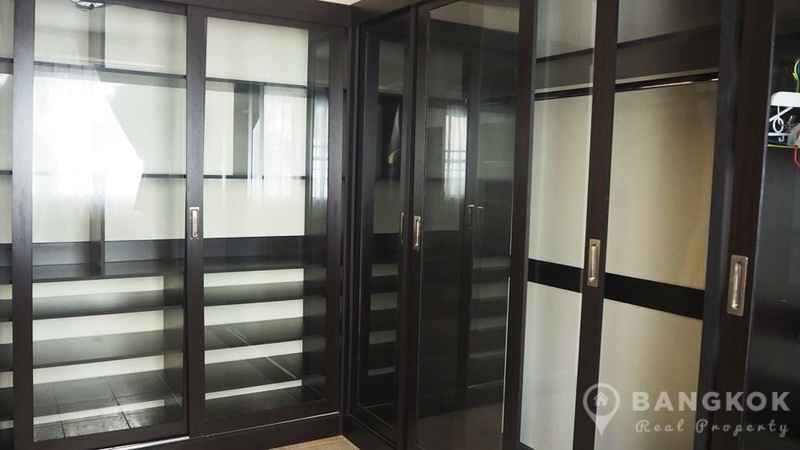 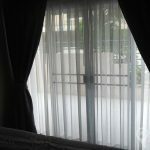 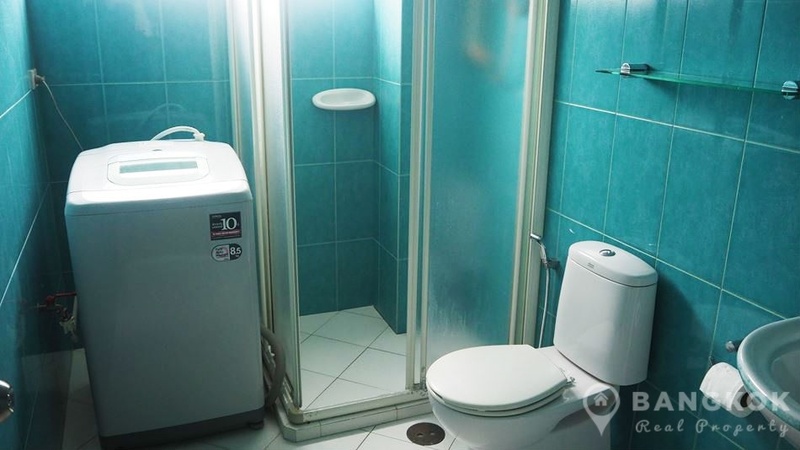 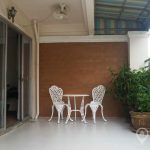 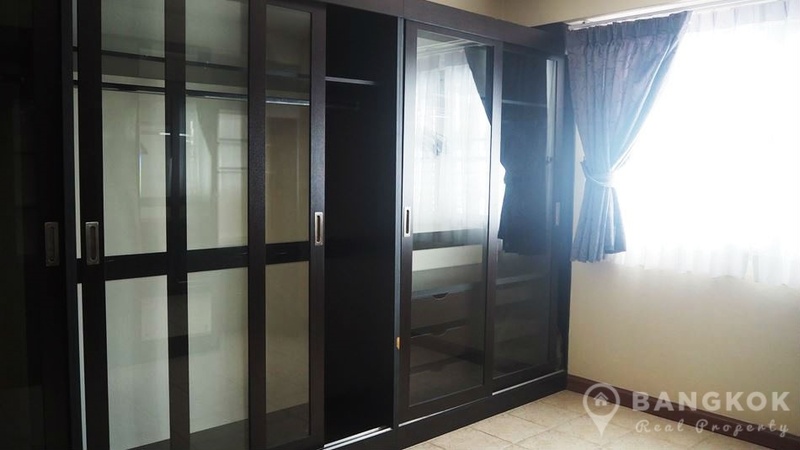 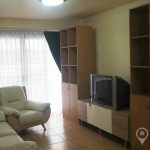 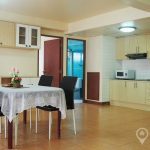 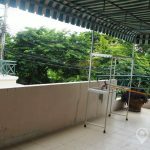 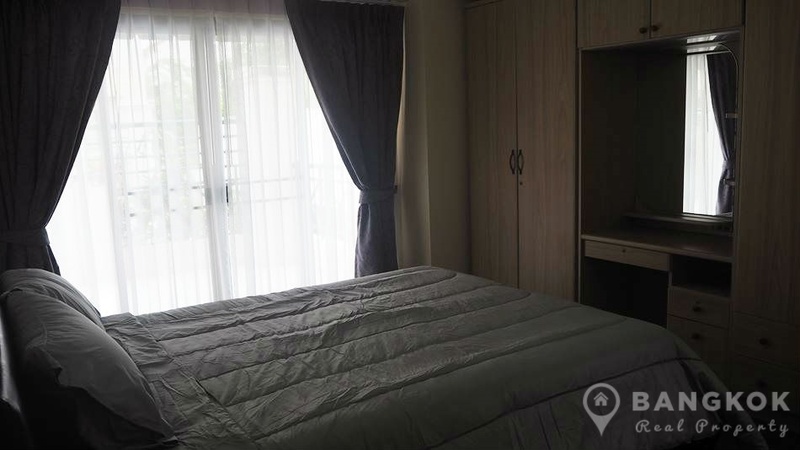 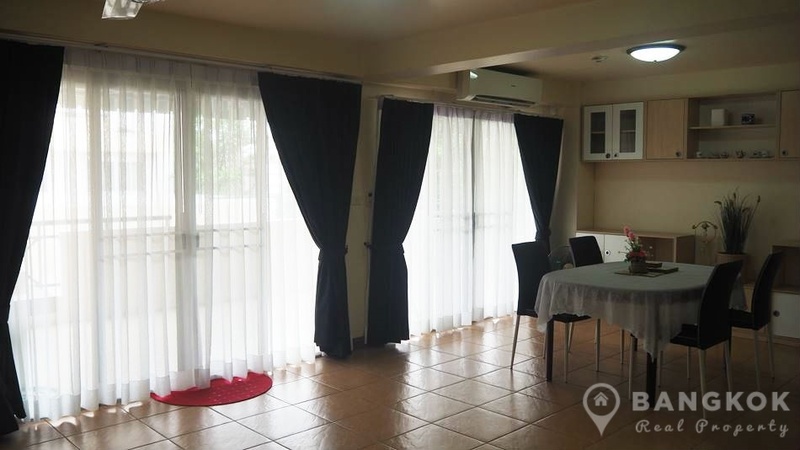 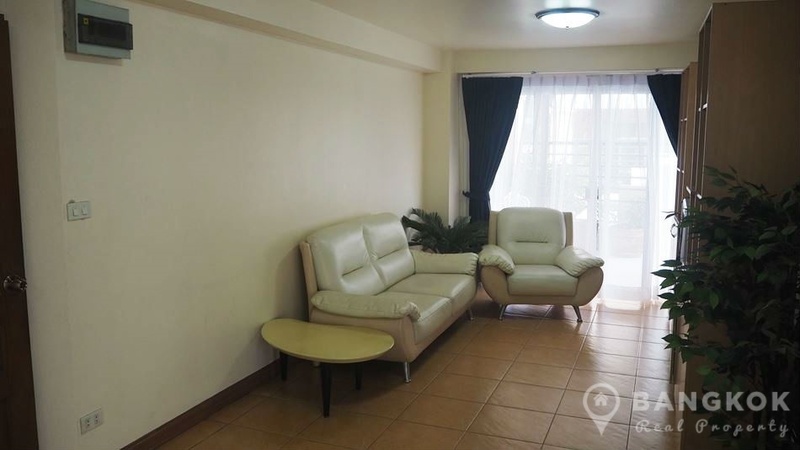 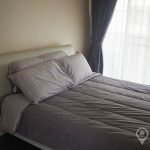 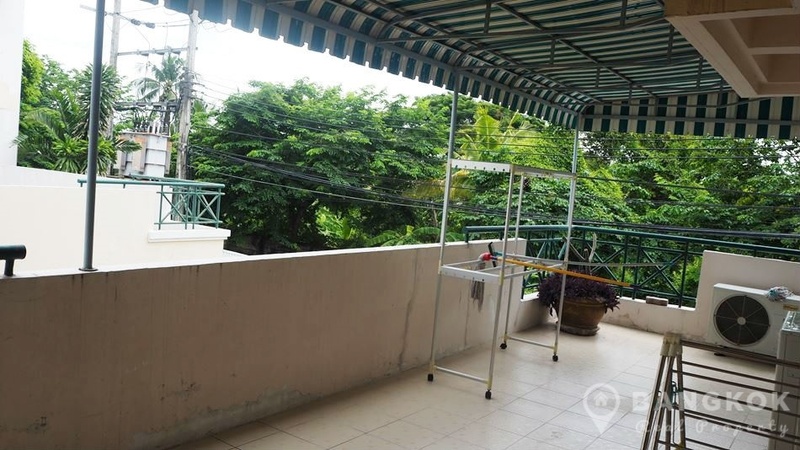 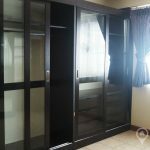 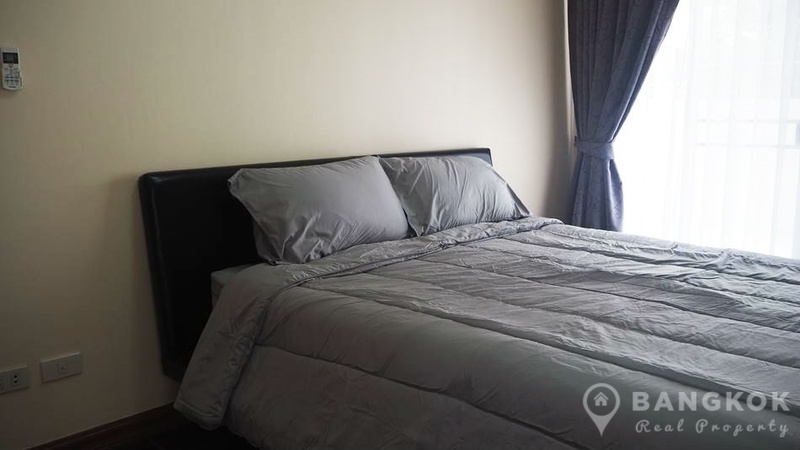 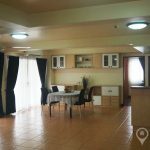 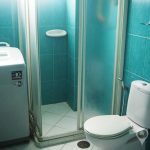 This newly renovated, very spacious, bright, 2 bedroom condo is for rent at Sammakorn Condominium, situated in Sammakorn Village in Ramkhamhaeng the condo is located in a quiet and leafy area of the village just off Soi 112 with easy access to the Pure Place Mall, Villa Market, Golden Place, Tesco Lotus, the local wet market and is within easy reach of The Mall Bangkapi and The Mall Ramkhamhaeng. 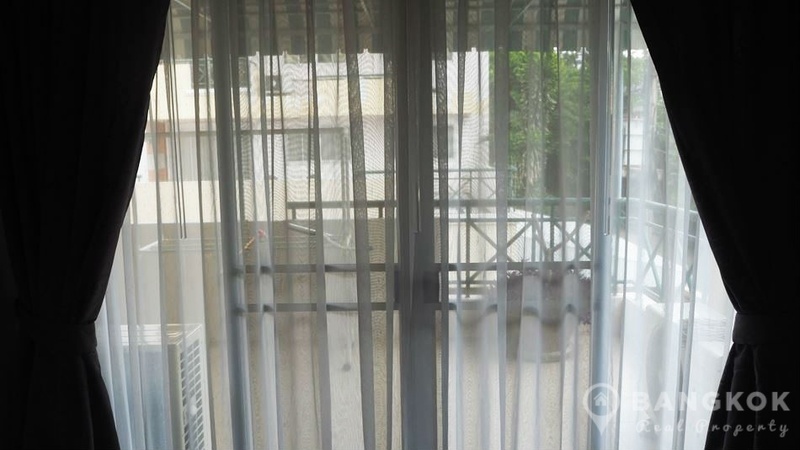 On a low floor of the low rise Sammakorn Condominium the condo is 2 condo units that have been merged to create a very spacious 136 sq.m unit. 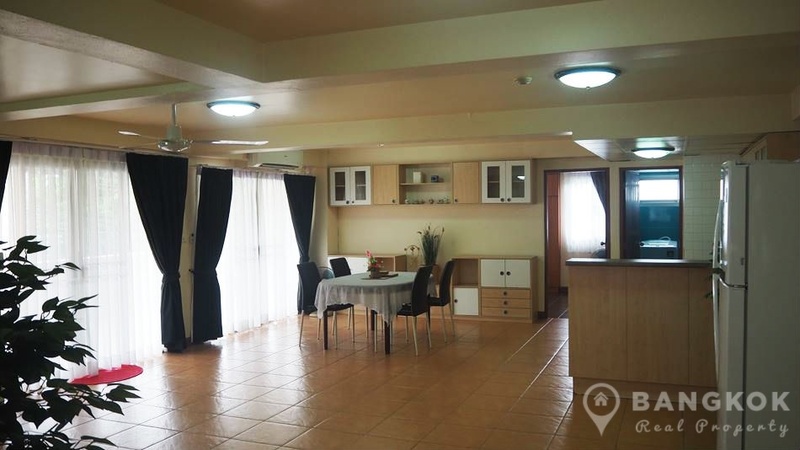 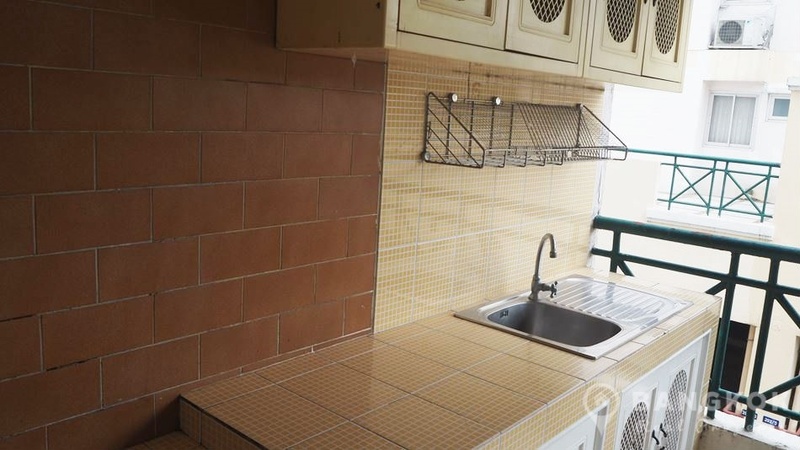 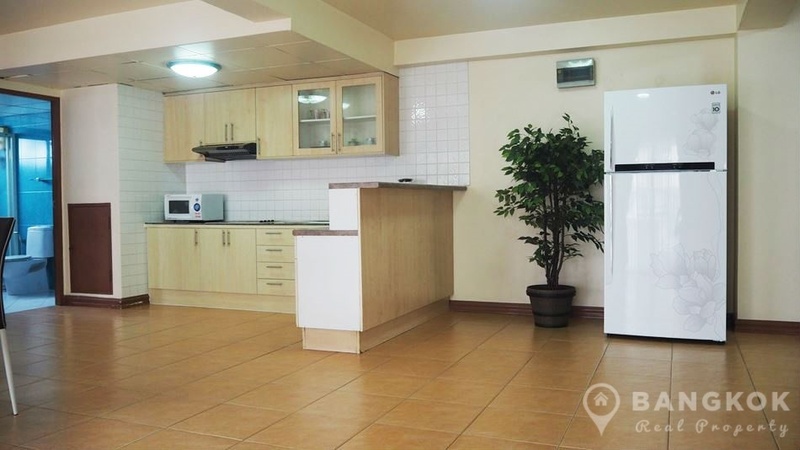 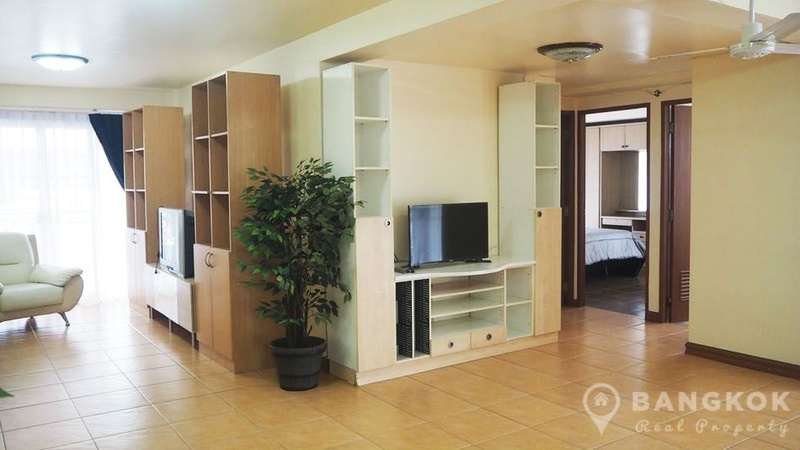 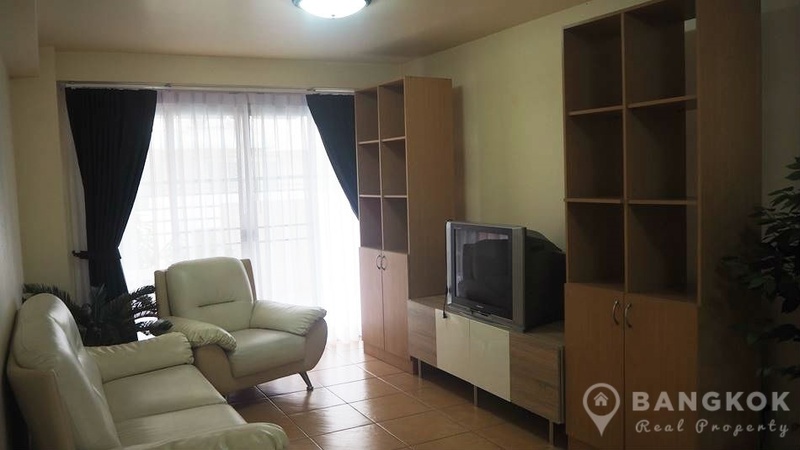 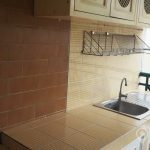 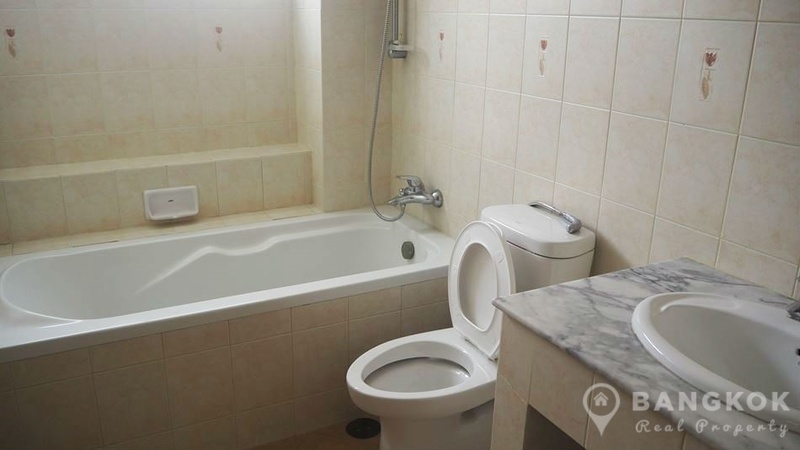 The condo has ceramic tiled floors throughout, is fully furnished and air conditioned and there is 2 large terraces, off the livingroom and bedroom. 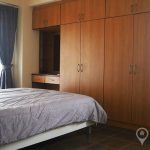 Both bedrooms are double bedrooms with excellent wardrobe space, there is a separate dressing room with extensive built in wardrobes, and 2 bathrooms, one with bathtub shower, the other with a power shower. 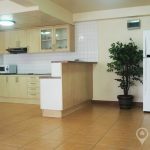 The kitchen has extensive built in units, electric hob and extractor fan, family sized American style fridge-freezer and a washing machine.